If you’re reading this right now, it’s probably safe to say that you’re dying to grow your tiny list of leads - aka, your email list. 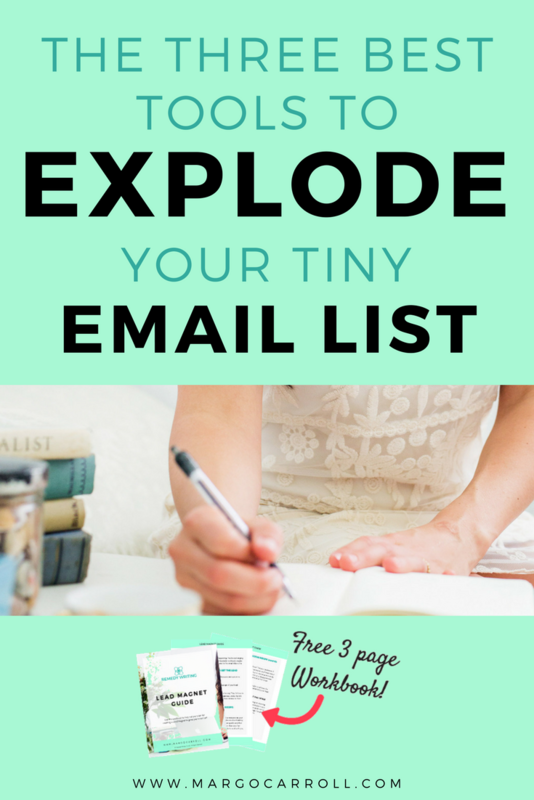 You want to explode that tiny list so you can reach and help more people, right!? A growing email list is essential to building your business and increasing profits. 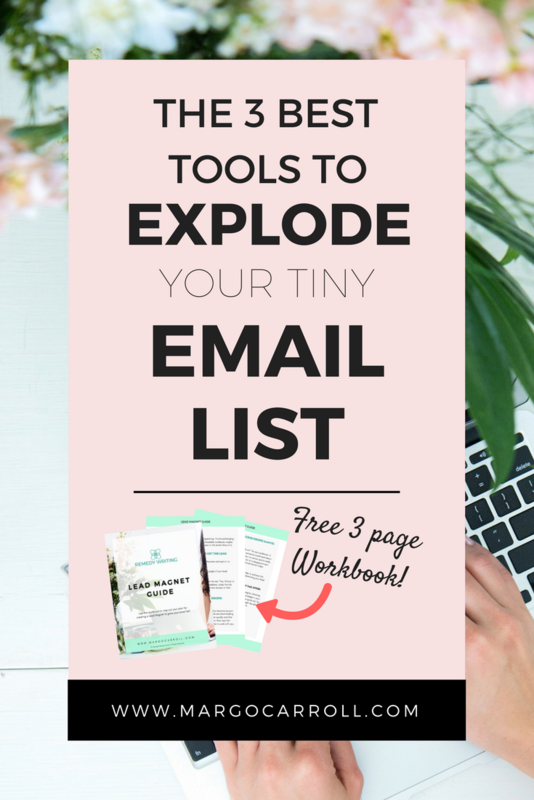 But what exactly CAN YOU DO to grow your small email list quickly (without being that creepy troll in all the Facebook groups dropping your info nonstop or cold-calling peeps to beg them to come into your business)? 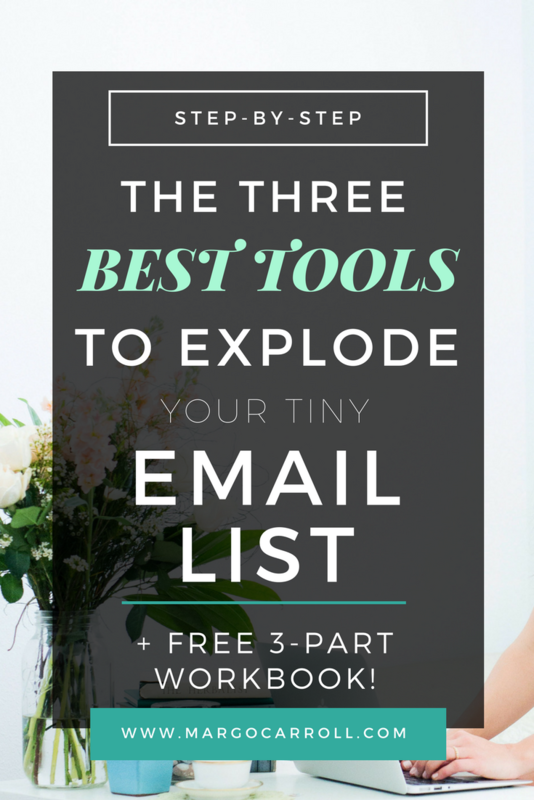 Today we're going to talk about three of my favorite tools to excite new email subscribers about hopping on to your list. And those tools, my friend, are each a different type of lead magnet. You’re about to grow your email list by creating a lead magnet that is incredibly helpful to your readers. Before we dive in, let's review what exactly a lead magnet is. A lead magnet is a super high value free offer that entices people onto your email list in order to receive a free download of that tool. Now, “high value” is the key here! You want to make sure the lead magnet creates a quick win for your audience. So here are three of my favorite types of lead magnets to grow your email list from scratch. The first one is going to be an email course. They’re educational, helpful, and help the reader get to know you so much better than just a PDF download. Now, most of you probably already know that my primary lead magnet to get people onto my email list is my email course called Wellness Websites 101. It's a free five day course that helps people outline the copy for their website and just understand the basics of what copywriting is all about. I then have that lead magnet integrated with my welcome email sequence. This lead magnet is really high value for my audience because most of my audience are wellness entrepreneurs that don't really understand all of the ins and outs of digital marketing, so it introduces them to the terminology, gets them clear on their goals and helps them to start outlining their plan. An email course is a better way to deliver this extensive material than a workbook or a cheat sheet because it's a lot of information. It's too much to absorb and do in one sitting, so it works better to send this out over the series of five days, which is exactly what I have the email course set up to do. The second choice that I really like for lead magnets is a workbook because let's face it, we all get sick of staring at a screen and reading information and eventually we want to be able to start writing out action steps. So a workbook is a great choice, especially if you take the time to get it looking really nice, either by hiring a graphic designer or designing it yourself with a free tool like Canva or a paid tool like Adobe Indesign or Stencil. You can use a lot of different tools to create your workbook, but the key here is that it is going to make the reader want to download, print it and start actually filling it out and taking those action steps. Because NEWSFLASH: The best kind of lead magnet is the kind that your reader is actually going to use! The third type of lead magnet that I really love is going to be a cheat sheet or a mini guide. Now this is different from a workbook because it's shorter. It's a guide to the process and steps that the reader needs to walk through to achieve a certain outcome (you could also call this a workflow). This could be, for example, a cheat sheet on how to design a sales funnel for your offering, or it could be a cheat sheet of the 10 stretching techniques to relieve trapezius tension in your shoulder. Whatever your topic is, the idea here is that it's a one page, quick guide. The reader could even print it out and put it next to their desk because it's so useful. I have definitely found some great lead magnets from some of the entrepreneurs that I follow online that I actually printed out and it got worn at the edges and coffee stains on it because I was using it so often. And that’s exactly how you know you’ve created an incredible content upgrade or a lead magnet - when the reader ends up actually using it a lot. I found a lot of value in that entrepreneur's free lead magnet cheat sheet, and what do you know? I ended up purchasing that person's paid offering as well and I did not regret it one bit because I had already learned how knowledgeable they were by testing out their free tools. So those are three examples of lead magnets that could be really effective at drawing in your readers to become subscribers for your email list.